Brush Brooklyn Bred Bistro Sticks with olive oil and top first with the shredded mozzarella then the grated parmesan. Place on cookie sheet and bake at 375 degrees for 7-8 minutes or until cheese is evenly melted. Remove from cookie sheet and cut into 9 individual sticks. 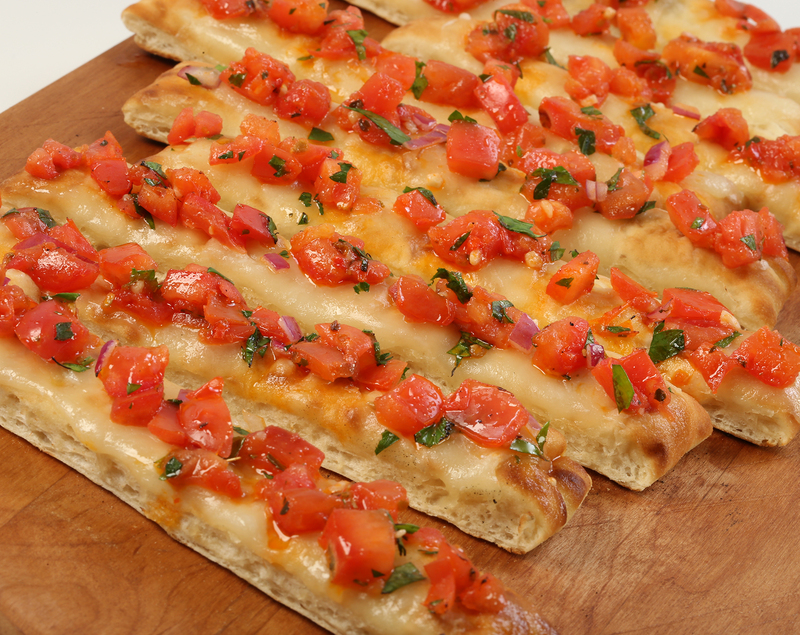 Spread the tomato bruschetta evenly over each stick and serve immediately.